Home ... Herne Bay ... That girl in the photo is me! That girl in the photo is me! 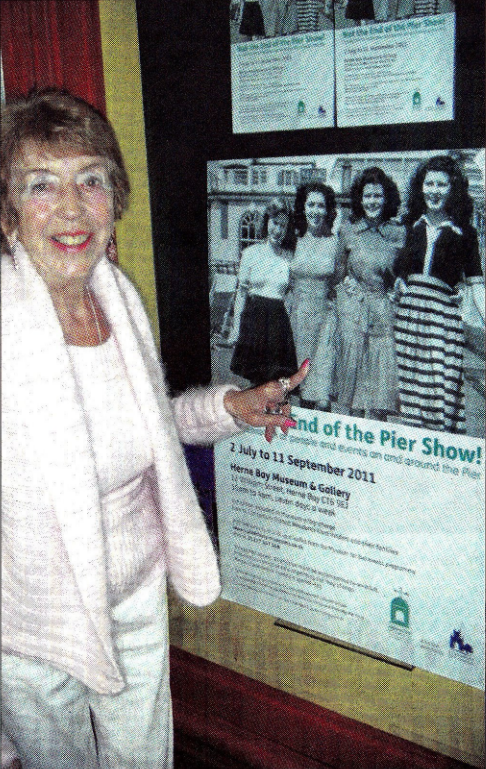 Josephine Weller was surprised and delighted to find that she was one of the smiling girls on Herne Bay pier chosen for a poster for the exhibition Not The End Of The Pier Show, at the town’s museum. Mrs Weller, 81, who lives in St Anne’s Drive, Herne Bay, with her daughter Gale Lawrence and her three sons, visited the museum on Thursday, met family groups and shared her memories with Margaret Burns of Herne Bay Community Memories Group. 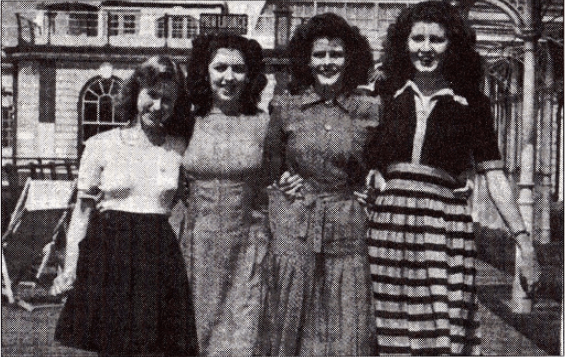 The photo was taken in 1947 when Mrs Weller and her friends went for a walk along the pier. Mrs Weller is pictured pointing to herself on the exhibition poster, second from left. • The exhibition is a celebration of activities in and around Herne Bay pier and the people involved in them, including personal memories, objects and images. It is at the museum in William Street from now until September 11 and is included in the entry charge. Entry is free to Canterbury district residents’ card holders and their children, it is open from 10am to 4pm. Next Oooh, look – we’re on telly!